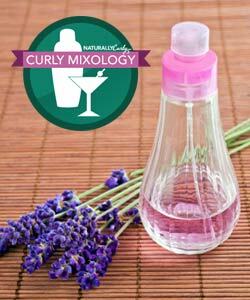 This February, NaturallyCurly is celebrating a full month of Curly Mixology! Each day we'll feature one recipe for you to treat your curls to in the comfort of your own kitchen. 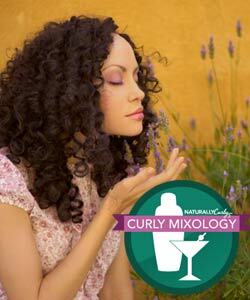 Tweet us your favorite recipes with hashtag #CurlyMixology or share them on our Facebook page! NaturallyCurly user lindalennon uses this homemade oil spray on her second or third day hair to revive her curls. It leaves her curls shiny and softly softly scented without greasy residue.